37 weeks! Full term! I had my weekly appointment on Wednesday and had yet another quick ultrasound by the midwife to ensure that the baby's head is still down. And it is! So, awesome news, and baby was measuring perfectly with the heartbeat around 150. Camille has been a trooper at the appointments she joins me for, wooing the staff and knowing exactly where to find the hidden snack I pack for her in my diaper bag. :) On Wednesday my sweet midwife gave her a glove (you'd think that it had been dipped in gold, she was so excited) and even listened to her heartbeat with the doppler before we listened to baby's heartbeat! 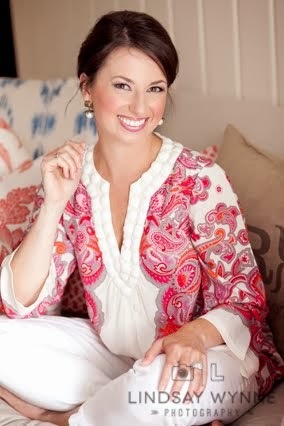 I am currently in Greenville participating in a really wonderful shopping event called Swoon! If you are in the area, please come visit me and the other vendors ... it's a great opportunity to knock out some Easter basket, Mothers Day, or "just because I deserve it" shopping! 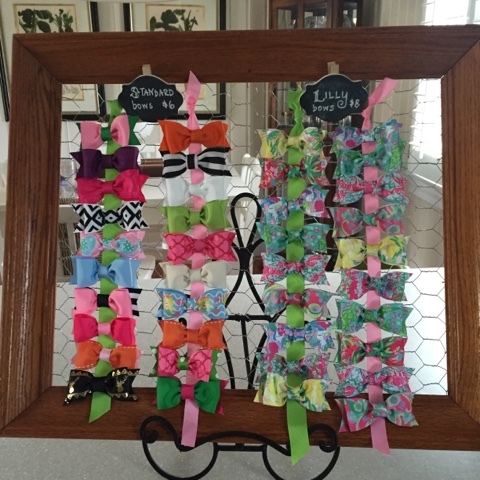 I have a really cute hairbow display ready and I will also have bonnets, kids' necklaces, and felt play food available for sale at our The Tipsy Bunny spot! I may also be selling some items on Instagram (hint hint) so make sure to follow along this Friday and Saturday (@alizadventures) if interested! I saw this image on Pinterest the other day and it really inspired me to use some of the many (many!) mason jars that I have in the cabinet to make some various-flavored infused waters this spring and summer. Using small containers would be a very simple way to try out a variety of combinations. So smart! 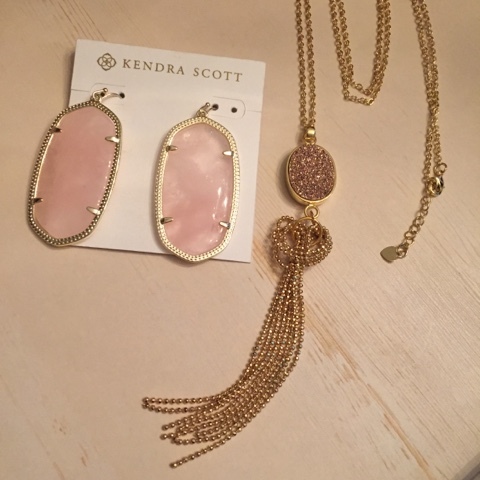 I sure love to wear pink, so I was tickled pink to receive two items in my most recent Rocksbox that had me in love. I am keeping these earrings and this druzy tassel necklace to add to my little jewelry collection. Remember that you can use code alizadventuresXOXO at checkout for your first box free ... a $19 savings that gives you unlimited box switch-outs for one month! You've heard my thoughts on ePantry, and just a quick update, they are now called Grove Collaborative! Same company, same mission, same concept, just different name. I have tweaked my next shipment to include some of the organic skincare products they offer. 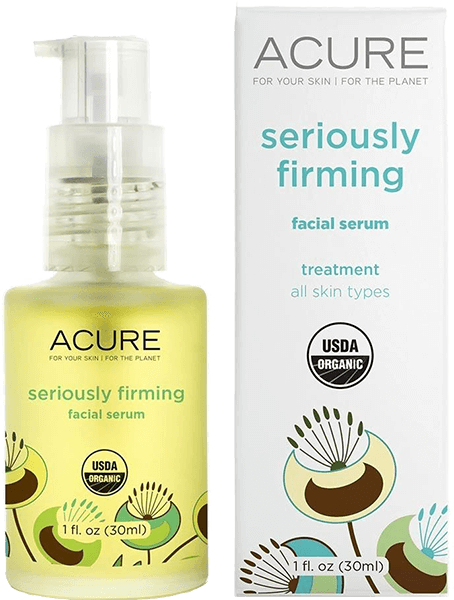 I am specifically intrigued by this "seriously firming" facial serum, and you'll definitely hear from me if I love using it. I can't wait to receive it in my next order box. Remember that you can earn $10 off of your first order, PLUS free shipping, by using my referral link here. 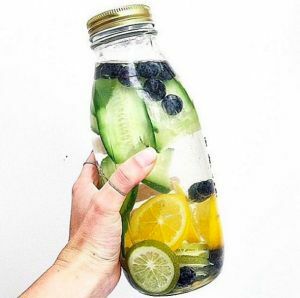 That jar is a really great idea for fruit infused water! 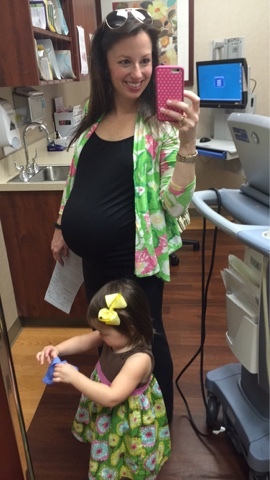 37 weeks--so close, yay! I just signed up for Grove yesterday on your suggestion...can't wait to receive my first shipment! I have been looking at different serums but can't make up my mind, so I definitely need to know how that one works out! Yayyyy! I'm getting so excited for you to bring your newest little one into the world! I'm still thinking pink! So glad the baby is still head down! Congrats on being full term!! I'm so glad you introduced me to Grove Collaborative - I got my first shipment last week and I adore the products! Yay so glad to hear that the baby's head is still down. :) You look great!! WooHoo! 37 weeks...you're on the downhill from here! So exciting! Your Lilly bows are so cute, I wish I had a little girl to dress up. No kids (yet) and I have FIVE nephews, I seriously need a niece (or my own daughter). Anyway, congrats on your pregnancy! Wishing you a safe and fast delivery! Love the idea of using mason jars for infused water batches! That druzy necklace form Rocksbox is gorgeous! Oh how I wish I still lived in Greenville near Lindsay and the whole crew! Hope you had a great (and successful) time at Swoon! !